What Is The Best Solution For The Paperless NHS? Health Minister Jeremy Hunt declared last year how he would ideally like NHS patient records digital by 2015 and completely paperless by 2018. While this may seem like an unreasonable, perhaps even impossible expectation, if it is to happen, it needs to be done right this time around after a catastrophic failed attempt under the previous government. Whether the current government stays in power long enough to see it through is one thing but when the day comes when the NHS is to become a mostly electronic organisation, it needs to be done in the correct way. The NHS is the oldest health care organisation in the world and as such is looked upon as an example to all other healthcare systems despite continuing financial and staffing problems over the past decade or so. Though it’s easy to think ‘promises, promises’ when it comes to what Jeremy Hunt is proposing, the fact is that he’s right when he says it would save the NHS billions of pounds, which is ultimately one of their greatest concerns. If money is saved in areas where things can be improved, the focus, both in mind and in pocket, will be on where it’s really needed such as more staff, more nurses and doctors and therefore less overly harsh stories in the press about more failures in our healthcare system. Ultimately, it’s not just about saving money, it’s about keeping on top of saving lives and, to a much lesser extent, saving face. The proposed scheme that was put out under the Labour government and then unceremoniously scrapped at a huge cost to the tax-payer, which is still being recouped to this day, was overly complicated and difficult to understand. The scheme is being run out under a different government with each individual hospital, trust and practice making their own decision on the system they wish to have, which many would see as a potentially fragmented problem. 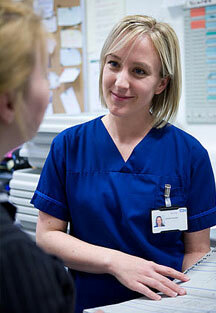 But the fact is that each individual part knows what is best for its staff and ultimately its patients. A large hospital or trust could run one system that has huge databases and a lot of detailed controls but this may not work for a small GP practice or small hospital. Essentially, the NHS needs one thing through and through, something that has become lost as the system becomes more and more complicated and scrutinised; simplicity. All parts of the NHS do not need anything other than software that offers them what they already have but in a streamlined, time-saving and expenses saving way. It doesn’t need to have fancy bells and whistles, staff simply need to find the information that they need as quickly as possible. Whilst all this may currently be in filing cabinets or large storage areas, this is a system that works; it just needs to be contained to one small electronic place. This is why the initial plan failed and it needs to be done with a little more care this time around. As one of the most respected organisations in the world, the NHS deserves what will work for it and overly-complex systems further complicating processes is not the way. If you have any thoughts, please feel free to comment, as we welcome all views on the subject. To find out more about the document scanning services we offer, take a look at our dedicated page.